Fr. Mardarios, a former bouncer at a nightclub, is photographed here now using his strength to clean the garden of his monastery at Mount Athos from rocks. 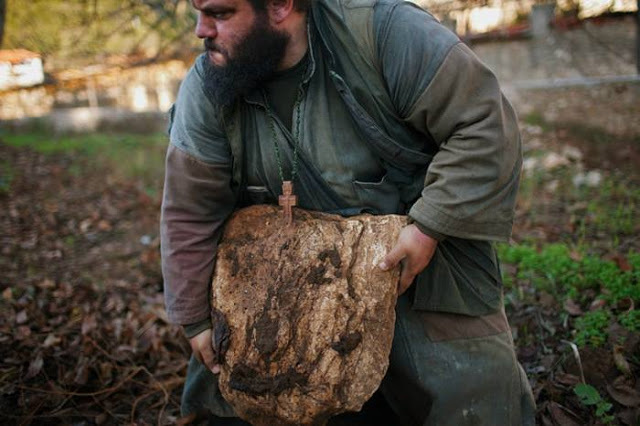 "No matter how many rocks I lift," he says, "their weight is less than the weight of my sins."